For our regular readers and followers on various social media, we’ve started a series of giveaways! Our previous giveaway was for July 2018. You can follow the below given link to know more about that. 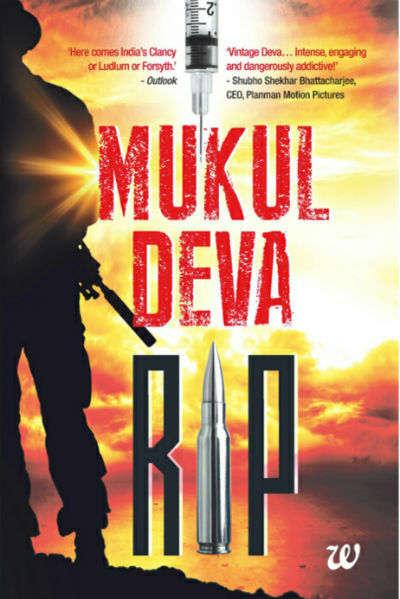 You would be delighted to know that in this giveaway, you stand a chance to win a paperback copy of RIP: Resurgent Indian Patriots by one of the most acclaimed author in military thriller genre Mukul Deva. Actually, we are celebrating Independence Day of India (that is Bharat) on 15th of this month, and we thought, what could have been a better giveaway than a book on the theme of patriotism! The way, the protagonist and his entire team decided to eliminate corruption by eliminating corrupt people from various areas of the society, reflects the thoughts of many countrymen, often referred as “common men”. Please feel free to share your thoughts about this giveaway. Here are more details about the book. We are making it very simple for the participants. The following are the points you need to follow/remember to take part in this giveaway. The contest will run from August 01, 2018 to August 31, 2018 IST, which is referred below as the “contest period” or “giveaway period” or simply “the period”. You need to follow us on Twitter during giveaway period. You need to follow us and like our page on Facebook. The results are expected to be announced by or on 15th September, 2018, but we reserve the rights to change the schedule of the same, if not cancelled this giveaway. Please note that this giveaway is strictly for resident Indian Citizens with deliverable postal address only. So are you excited for this giveaway? Well, who don’t want to enjoy a thriller written on the backdrop of realities, politics, armed forces, and many more segments weaved in a fictional tale!? There is no clear winner this month :(..
We’ve decided to giveaway the paperback copy of this book to a participant randomly despite of incomplete entires :)! To maintain user’s privacy, we are not sharing any of the personal details.